Natasha Jonas, known as Tasha to her friends, is a retired female amateur boxer who was born and raised in Liverpool. 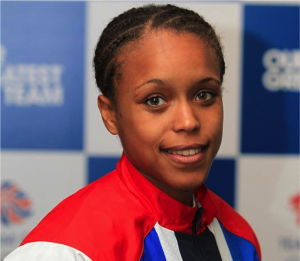 Tasha became the first GB female to fight in the Olympics in London 2012. Natasha was a Gold medallist at the EU Championship in 2011 and 2009. She has won the ABAE (Amateur Boxing Association of England) Championship four times (2010, 2009, 2008 and 2007) and won the GB Championship in 2010. Natasha’s ability and past achievements have brought her to the attention of many, locally and nationally. She is a great ambassador for female sport and a role model to young kids in her local community. In 2016 Tasha became a mum and is still working in the media and within the boxing community.